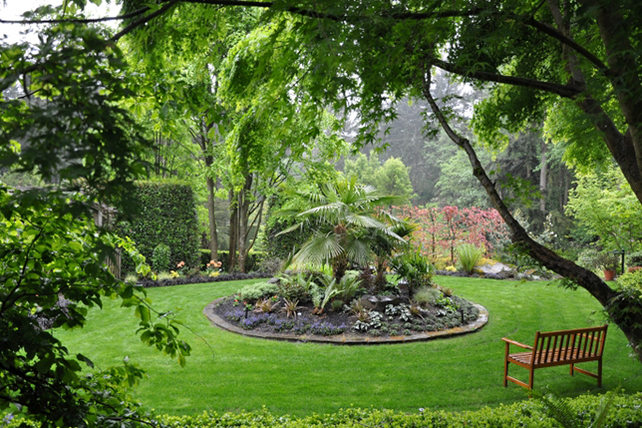 The Garden Conservancy Northwest Network (GCNN) is a member-supported association of gardens, parks, and horticultural organizations. It is dedicated to connecting people and gardens, creating engaging educational programming, fostering an appreciation of plants, and preserving gardens as vital cultural resources. Through this website, you will discover some of the Pacific Northwest’s most beautiful and unique gardens and regional horticultural organizations. Click on the links below to learn more and to connect to each garden's website. Use the "Map" feature in the right sidebar for directions to the garden you would like to visit or to determine the best travel route between gardens. Explore the "Calendar" page to help you find which horticultural events you might attend and learn when to visit your favorite gardens for a special event, lecture, or class. Listed below are the GCNN member gardens and horticultural organizations. Albers Vista Gardens, Bremerton, WA Albers Vista Gardens, an oasis comprised of over a thousand different botanical delights, aesthetically arranged on 4.2 acres of a southwest facing hillside overlooking the Port Washington Narrows and the Olympic Mountains. It serves as a horticulture learning center for educating the public on the creation and maintaining sustainable landscapes. Meerkerk Gardens, Greenbank, WA Meerkerk Gardens is an internationally recognized private garden, open to the public, featuring species and hybrid rhododendrons, companion plants, and trees. It is a premier garden for display, education and research which offers a developed core of ten landscaped acres surrounded by 43 acres of native woodlands. Bellevue Botanical Garden, Bellevue, WA Bellevue Botanical Garden displays the best plants and gardening practices for beautiful, healthy Northwest Gardens. The garden is free and open year-round, daily from dawn to dusk. Discover the joys of Northwest gardening as you stroll 53-acres of display gardens and native woodlands. Please call 425-452-2750 for more information. Bloedel Reserve, Bainbridge Island, WA Bloedel Reserve is an internationally renowned public garden and forest preserve. The reserve's 150 acres are a unique blend of natural woodlands and beautifully landscaped gardens, including a Japanese Garden, a Moss Garden, a Reflection Pool, and the founders' former estate home. Cottage Lake Gardens, Woodinville, WA Cottage Lake Gardens is a beautiful 2-acre lakeside botanical garden with an extensive collection of rare and unusual plants including a world-class trillium collection, with more than 2,500 trilliums which includes all 50+ of the world’s trillium species. The garden is open to the public during their spring Trillium Tea Talk & Tours. Dunn Gardens, Seattle, WA Dunn Gardens is a historic site designed by the Olmsted Brothers and developed between 1915 and 1920. Plants range from diminutive trilliums to Douglas firs towering more than 150 feet. A Great Lawn, sweeping vistas, ponds, and woodland walks all respecting the genius of the place make the Dunn a peaceful garden to visit in any season. Elisabeth C. Miller Botanical Garden, Seattle, WA The mission of the Elisabeth C. Miller Botanical Garden is to acquire, steward, and disseminate new and unusual plants; to exhibit plants in sensitively arranged plantings, artfully displayed, and to have the entire property reflect high standards of design and maintenance; to demonstrate, by example, environmentally responsible horticulture. Highline SeaTac Botanical Garden, SeaTac, WA The Highline Botanical Garden Foundation was incorporated in 1999 to preserve a 40+ year old private English cottage garden located in the shadow of SeaTac International Airport's third runway. Since then, the Elda Behm Paradise Garden has been enhanced with four species gardens of iris, fuchsias, roses and daylilies and another heritage garden rescued from the third runway – a miniature mountain and pond Japanese Garden. To date, five of the eleven acres have been developed. Kruckeberg Botanic Garden, Shoreline, WA The Kruckeberg Botanic Garden displays a unique blend of Pacific Northwest native plants and unusual exotics in a naturalistic, wooded setting. 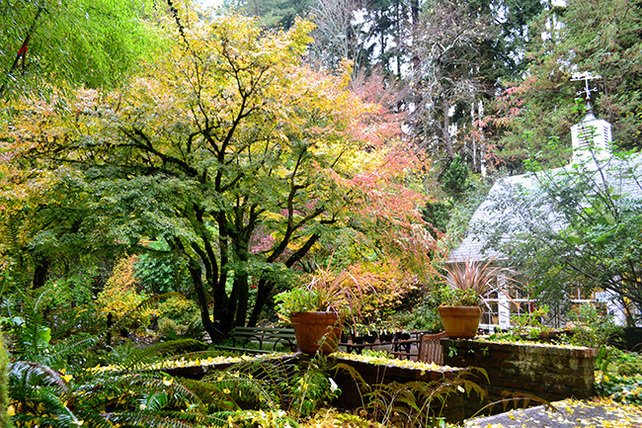 The garden was founded by Dr. Arthur Kruckeberg and his wife Mareen, who built the collection over 50 years in the 4-acre property surrounding their home. The garden and onsite MsK Rare and Native Plant Nursery are open Friday-Sunday, year-round. Seattle Chinese Garden, Seattle, WA Knowing Spring Courtyard and Pine and Plum Pavilion are the first structures in this Sichuan style garden. Built by master artisans from China, they feature the essential elements of traditional architecture, stone, water, and plants native to China. Come explore this vision for the harmonious integration of nature and culture. South Seattle Community College Arboretum, Seattle, WA The Arboretum at South Seattle Community College is five acres of gardens in West Seattle that provide students with hands-on learning, year-round. Open every day, it's also a sustainably managed urban retreat that extends the city's wildlife habitat. 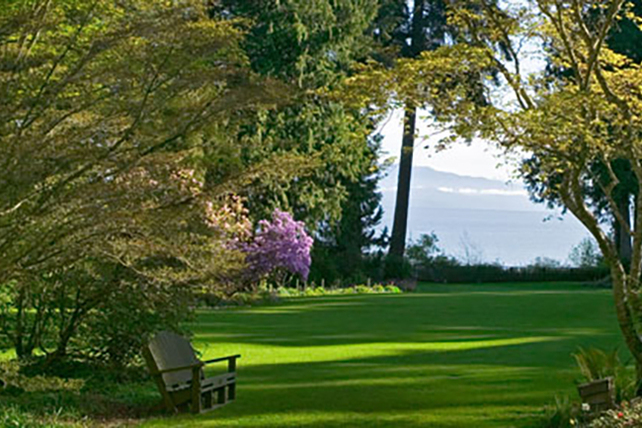 "The Arb" is a best-kept secret in West Seattle. Streissguth Gardens, Seattle, WA Nestled on a hillside in the center of a major city, with a stunning view of Lake Union, this garden is a moment of green and natural calm in an otherwise hectic urban environment. Accessed via the bordering pedestrian staircase, this woodland gem is laced with meandering paths and year-round flowers. Lakewold Gardens, Lakewood, WA Lakewold Gardens offers landscape architecture by Thomas Church surrounded by rare and native plants, State Champion trees, and stunning statuary. A Washington State and National Historic Landmark, Lakewold's Georgian-style mansion and historic architecture complete the 10 acres where visitors can step back in time to an elegant past or enjoy a relaxing moment to contemplate the future. 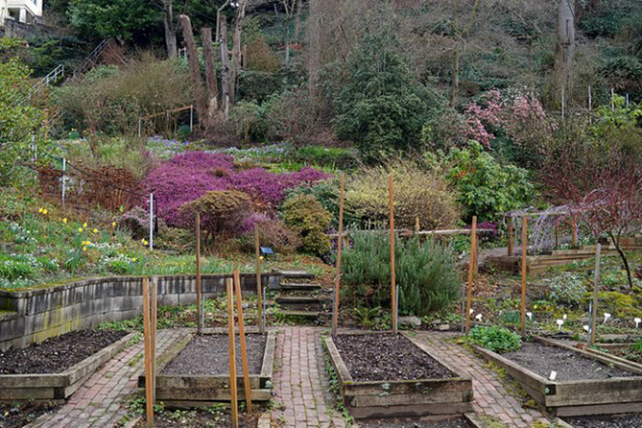 PowellsWood Garden, Federal Way, WA Through careful attention to the soil conditions and water movement, PowellsWood, located above Redondo Beach, provides the visitor with a beautiful pleasure garden grounded in an ethic of stewardship of the land. The results of these efforts are seven lush garden rooms rich with color and texture. 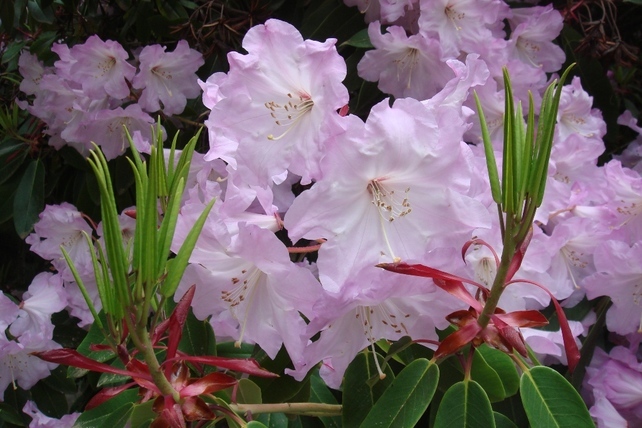 Rhododendron Species Botanical Garden, Federal Way, WA Considered the largest public species rhododendron collection in the world, the Rhododendron Species Botanical Garden inspires and educates visitors about the amazing botanical world. Enjoy 22 acres of woodland gardens including the Alpine, Pond, Victorian Fern Stumpery, and Blue Poppy Meadow Gardens, plus the Rutherford Conservatory, Garden Gift Shop, and Nursery. Soos Creek Botanical Garden & Heritage Center, Auburn, WA Soos Creek Botanical Garden was developed to be a stroll garden inspired by English and Japanese gardens. 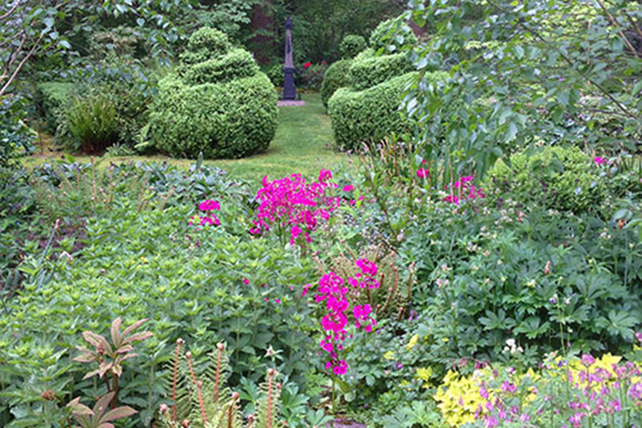 Highlights of this mature 22 acre garden are two opposing mixed borders extending over 400 feet, kalmias, rhododendrons, roses, peonies, fuchsias, and Pacific Northwest native plants. Moore-Turner Heritage Gardens, Spokane, WA Originally owned by U.S. 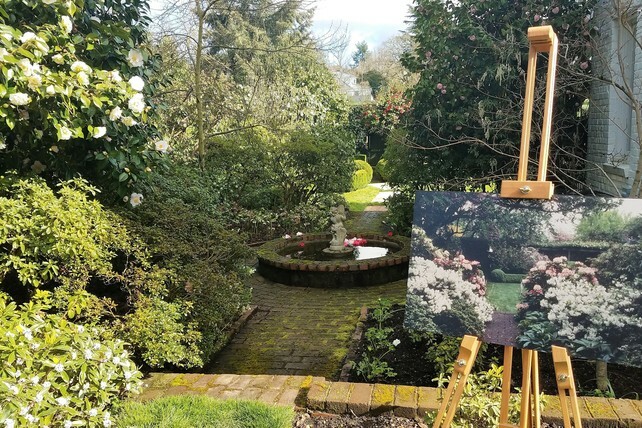 Senator George Turner and his wife, this beautifully restored historic garden is an exquisite example of the Arts and Crafts landscape design style. The 2.9-acre garden is located in the Marycliff-Cliff Park National Register Historic District and retains the original stone features constructed in 1889. Ohme Gardens, Wenatchee, WA Ohme Gardens is a refreshing evergreen oasis in the heart of Washington State. Natural stone pathways traverse the 9-acre hillside garden, ushering visitors past breathtaking panoramic river, mountain and valley views, towering cedars and firs, lush foliage, mesmerizing waterfalls, and tranquil pools. It is a photographer's paradise. Yakima Area Arboretum, Yakima, WA Established in 1967, the Yakima Area Arboretum is Central Washington's premiere plant museum. It features more than 1,000 labeled specimens on 46 acres managed as collections, display gardens,and natural areas. The arboretum seeks to inspire people of all age to discover and connect with nature through a diverse collection of Inland Northwest plants. Gaiety Hollow, Salem, OR Gaiety Hollow, the home garden of pioneer landscape architects Elizabeth Lord and Edith Schryver, is owned and managed as a public garden by the Lord & Schryver Conservancy, which has also rehabilitated the historic gardens at nearby Deepwood. The mission of the Lord & Schryver Conservancy is to "preserve and interpret the legacy of Lord and Schryver to promote a greater understanding of their contribution to NW landscape architecture." Hardy Plant Society of Oregon, Portland, OR The Hardy Plant Society of Oregon sponsors workshops, lectures, study weekends, classes, publications, book sales, plant and garden art sales, trips, and tours. It also organizes member gatherings and encourages member networking and supports worthwhile community gardening projects through grants, sponsor plant and seed sales and exchanges, and encourages the preservation of significant gardens of botanical, horticultural, and/or historical interest. 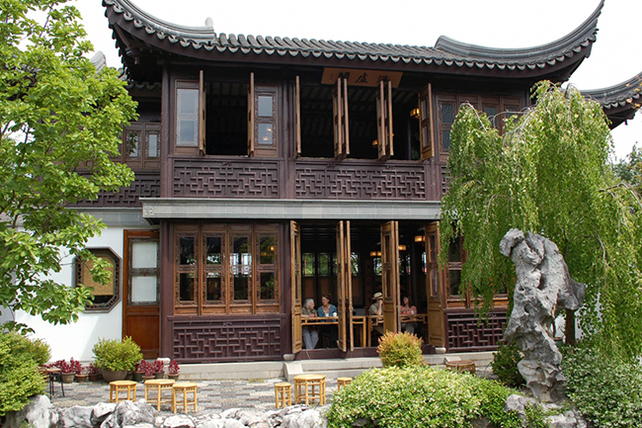 Lan Su Chinese Garden, Portland, OR Lan Su Chinese Garden is one of Portland's greatest treasures. Much more than just a beautiful botanical garden, Lan Su is a creative wonder—a powerfully inspiring experience based on 2,000 year-old Chinese traditions that meld art, architecture, design, and nature in perfect harmony. Leach Botanical Garden, Portland, OR Leach opened to the public in 1983 as a partnership between Leach Garden Friends and Portland Parks and Recreation. 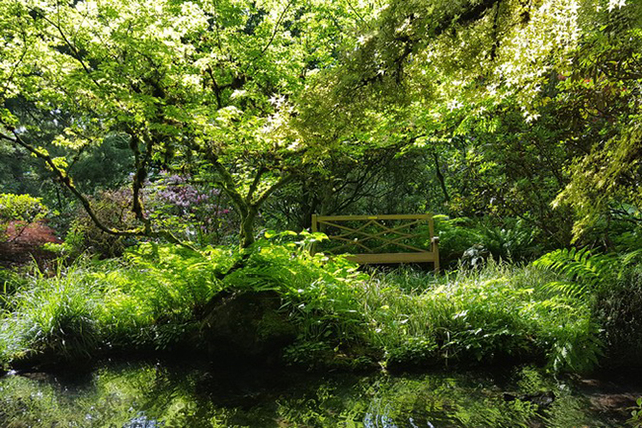 The core of this landmark garden is the estate of John and Lilla Leach, botanical explorers who, in the 1930s, built the Manor House and began the garden with its more than 2,000 plant species. Peninsula Park Rose Garden, Portland, OR Opened in 1913, Peninsula Park Rose Garden is Portland’s first public rose garden, often described as a hidden gem. A formal French garden, it features level pathways, a graceful fountain and a historic bandstand – all perfect complements to the splendor of more than 6,000 roses. Rogerson Clematis Garden, West Linn, OR The Rogerson Clematis Collection Botanical Garden is a 1.5-acre display garden that showcases North America's most complete collection of the genus Clematis with over 1600 clematis plants, including 90 of the 300 clematis species. Clematis and companion plants are displayed in a variety of settings around a historic farmhouse at Lake Oswego's Luscher Farm. Milner Gardens and Woodland, Qualicum Beach, BC Discover Milner Gardens, a one-of-a kind woodland estate and gardens nestled in the peace that only an old-growth forest can provide; a community oasis that rejuvenates the soul. Take time to relax over a pot of tea and hot scones in the historic house.